It’s the perfect opportunity to spruce up your landscape by buying native plants. Most of the plants in our sale produce great nectar flowers for bees and butterflies and some act as host plants for our beautiful butterflies. 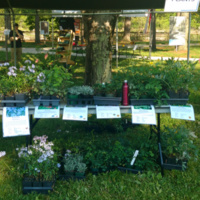 The proceeds from this sale go directly to support the propagation of native plants and control of invasive species.